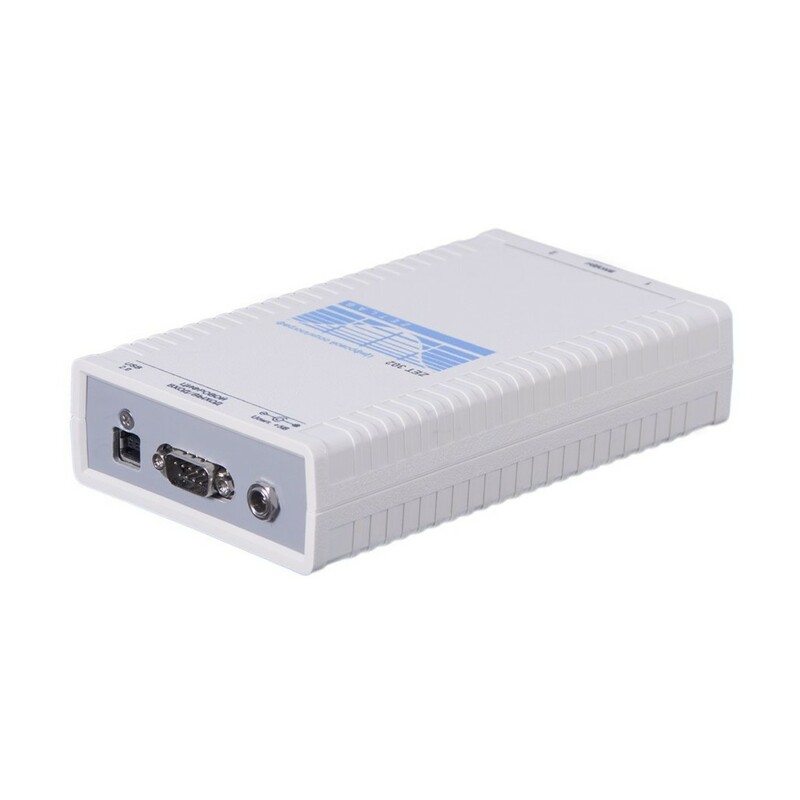 * Is measured at equal values of V/div and input communication. 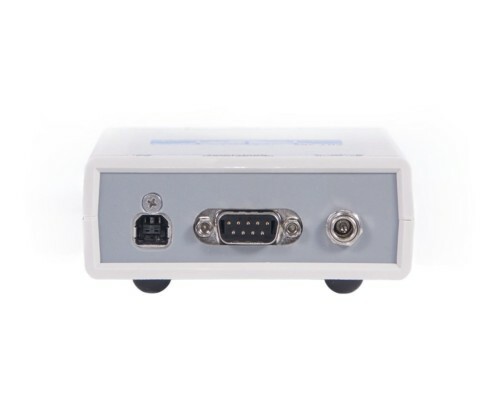 ** In normal mode of operation the data acquisition process starts only if synchronization requirements are met. 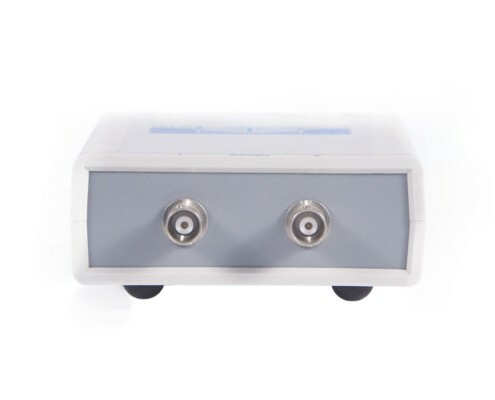 Digital USB oscillograph ZET 302 is used for high-frequency signals control in the range up to 20 MHz. Implementation of 50 MHz ADC converter along with equivalent sampling mode use allows to increase effective frequency up to 500 MS/s. 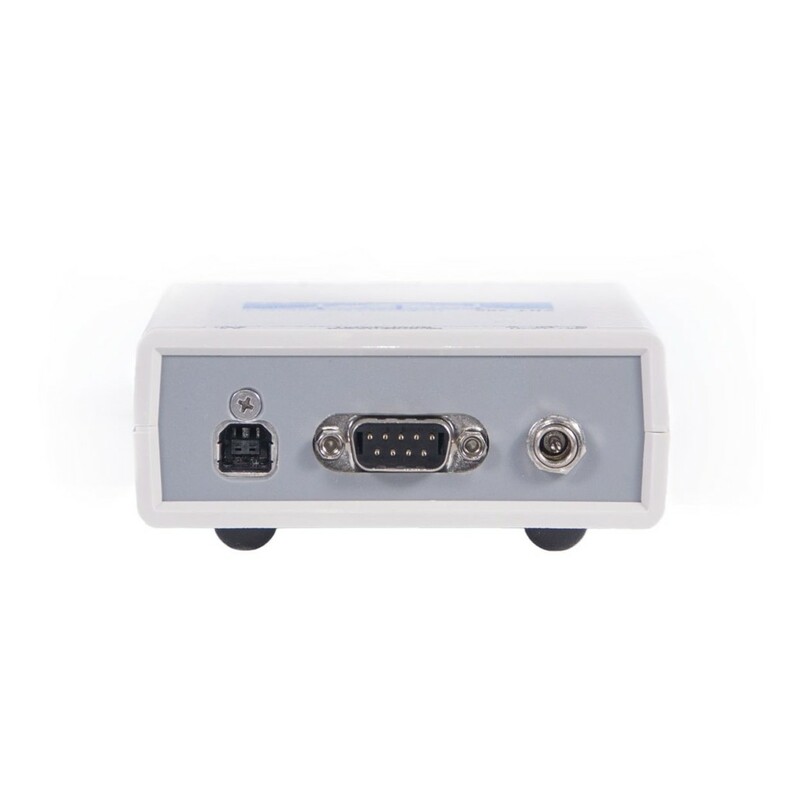 The work is performed via task-oriented programming environment ZETSCOPE, which emulates the use of desktop oscillograph. Mathematical processing of signals allows to control the signal spectrum as well as to evaluate signal parameters: average value, RMS value, crest factor value, full range, signal frequency, period time. 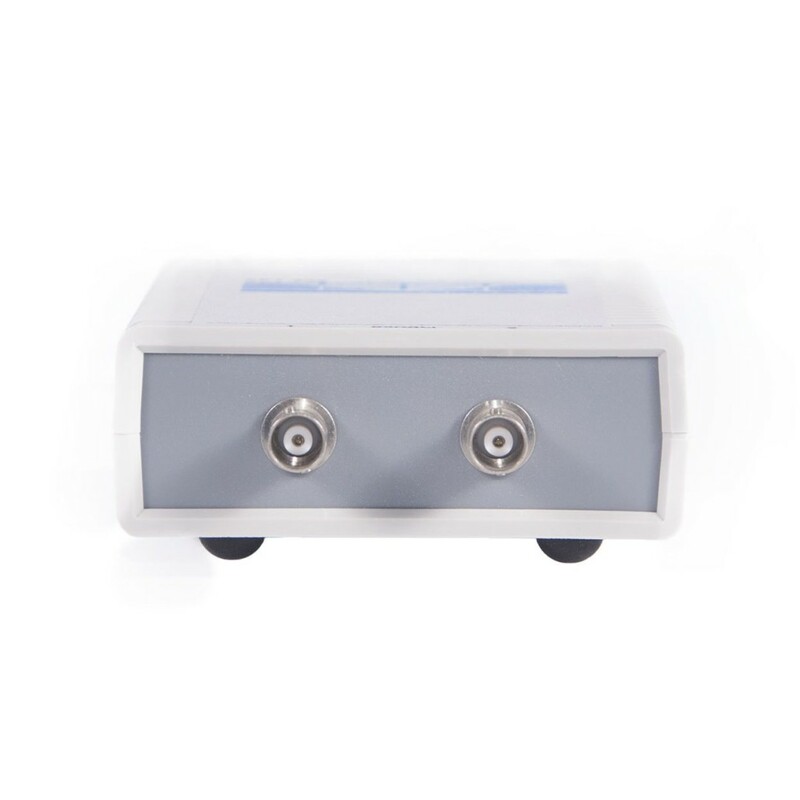 Additional vertical and horizontal axes simplify the process of measuring signal’s individual parameters, such as rise and fall time. Two independent inputs are connected to controlling amplifiers. 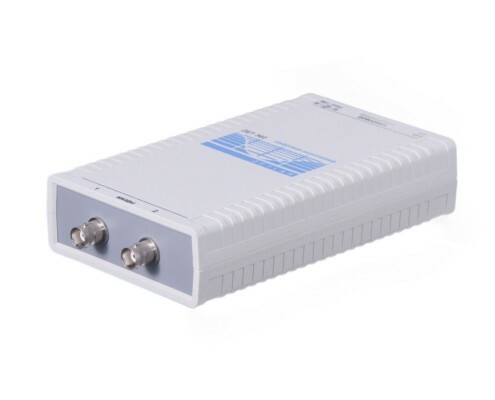 The amplifiers forward the signal to the two-channel ADC. 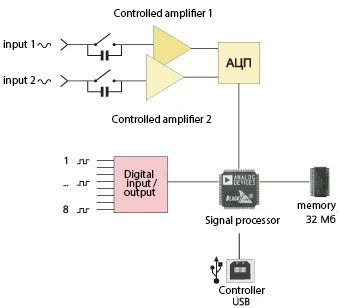 Digital signal processor reads the digitized data from the ADC and saves it to the integrated memory for its subsequent transfer to the USB controller. 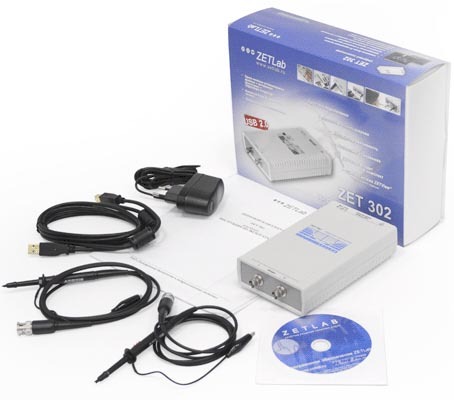 ZETSCOPE Software with user-friendly interface enables use of all the functions implemented in Oscillograph ZET 302. Virtual control panel provides quick access to the most important and often used functions.